I don’t need a fancy kitchen or a lot of tools to enjoy cooking. In fact, I prefer cooking in tight spaces with nothing but a solid cutting board and my Santoku knife. There’s just something about a minimal space that encourages creativity. You slow down a bit, multitask less and don’t worry as much about making a mess. If you think I’m crazy, just trying cooking a meal under the stars with nothing but a cast iron skillet. It’s heaven. 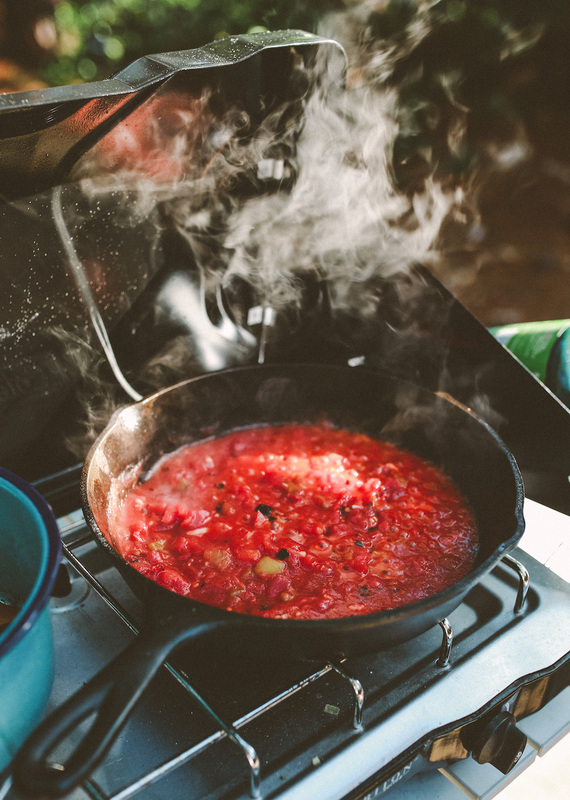 The key to campfire or camp-side cooking is to use the least amount of pots, pans and dishes possible. Because no one likes clean-up duty. This doesn’t mean you're confined to soups and spaghetti, it just means you have to get creative with boiling down elaborate meals or find the foods that comes to life with just a little oil and a pinch of salt. It’s really half the fun! 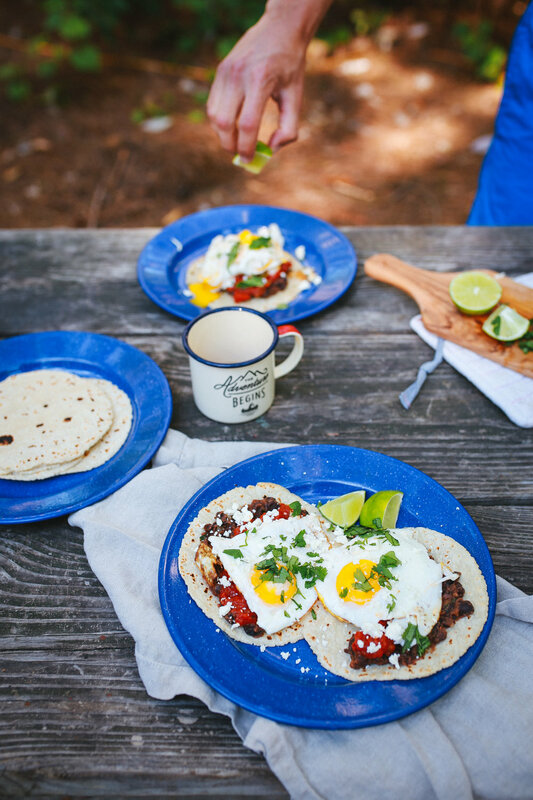 I made this recipe for Huevos Rancheros while camping at the beach a few weeks ago and it was so incredibly easy and delicious! It comes together quickly, using one skillet and a few ingredients, it’s packed with protein and will keep you full until lunchtime - important things to consider when you’re headed out for a long hike or bike ride! And let’s not forget to talk camp coffee! There are so many different ways to make coffee while camping, from the classic cowboy coffee method to french press and pour over. 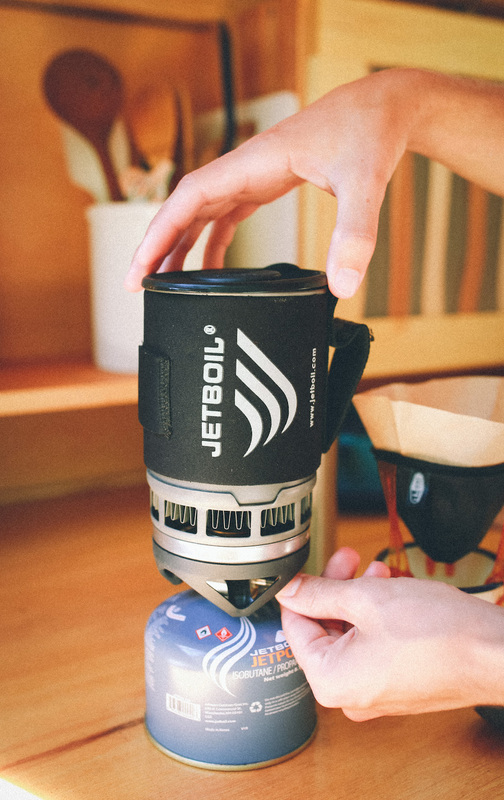 We alternate between using our JetBoil as a french press and using a lightweight, easy-to-pack drip coffee maker. And while I love the intense, dark coffee that comes from a french press, I prefer the pour over coffee while camping because clean up is just so. much. easier. I can still make a nice, strong cup of coffee in half the time and with virtually nothing to clean. So yea, it’s an obvious winner. 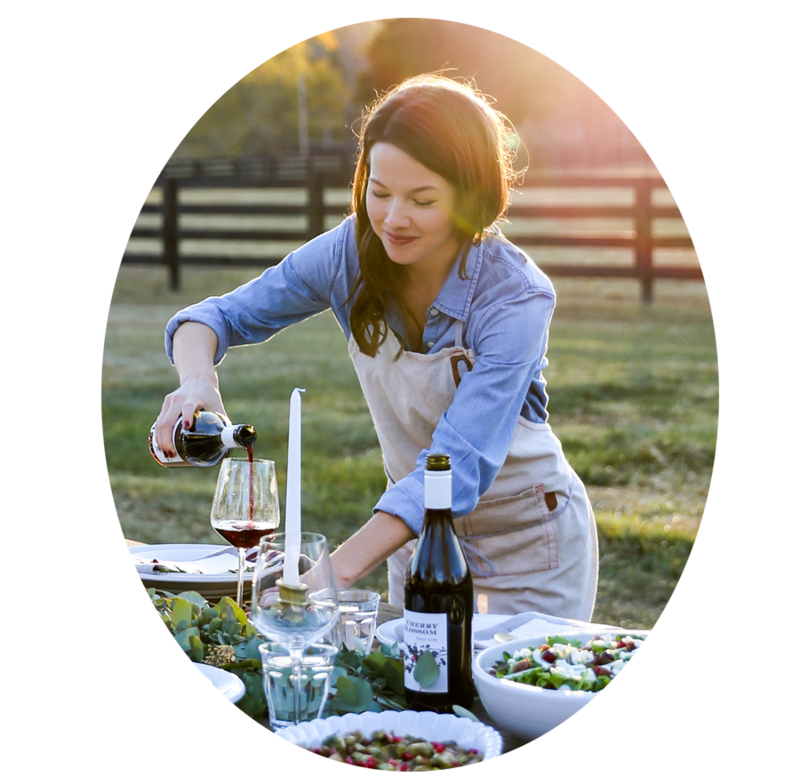 While both of these recipes taste pretty remarkable in the middle of the woods, they’ll taste just as great at home around your table. Regardless of where you make them, I hope you enjoy! Heat 1 Tbsp. of the oil in a heavy bottomed skillet over medium-high heat or over a campfire. Add the tomatoes, chilies, cumin, half the minced garlic, onion and a big pinch of chopped cilantro and cook, stirring occasionally, for about 5-7 minutes. The sauce is ready when it’s thickened and just barely sticks to the pan. Season with salt and pepper, remove to a bowl and set aside. Using the same skillet, add the black beans, remaining minced garlic, 1/2 cup of water, a squeeze of lime and a pinch of salt, stir to combine, and cook over medium-low heat until heated throughout. Thicken the mixture by using a fork to slightly smash the beans. Then, place the bean mixtures in a separate bowl and set aside. Lastly, using the same pan, heat the remaining oil and fry the eggs sunny-side up. Season with salt and pepper. To serve, place one or two tortillas on each plate and spread the bean mixture on the tortillas. Next, top with the eggs, salsa, cheese, cilantro and a squeeze of lime juice. Serve with fresh avocado and a piping hot cup of camp coffee! Bring water to a boil using a propane-powered cooking system like a JetBoil or a covered pot over a campfire. While the water heats up, line your drip coffee maker with a filter (this is optional, but makes for easy cleanup) and set atop your coffee mug. For a small 12 oz. cup, place 2-3 rounded spoonfuls of ground coffee into the filter. If you like strong coffee, start with 3 rounded spoonfuls. Once the water comes to a boil, slowly pour over the coffee grounds in a circular motion. Let the water rise to the top of the filter and slowly refill as it begins to drip into your cup. Once the cup is full, remove the drip coffee maker, discard the filter and enjoy!